The 22nd annual Art in the Pass returns to scenic Memorial Park, overlooking the beach and gulf waters, in Pass Christian, Mississippi, April 6-7, 2019. Our vetted fine arts and crafts event attracts about 100 artists from 14 states and approximately 10,000 visitors from Pensacola to Baton Rouge. We are known for our Southern hospitality and beautiful location. In addition, the Celebrate the Gulf Marine Education Festival is held concurrently each year, this year with an added science component. The 22nd Annual Art in the Pass is scheduled for April 6-7, 2019, in Pass Christian’s Memorial Park. The 2019 Festival will have 100 artists from 16 states and will be held in conjunction with the Celebrate the Gulf program sponsored by the Department of Marine Resources. 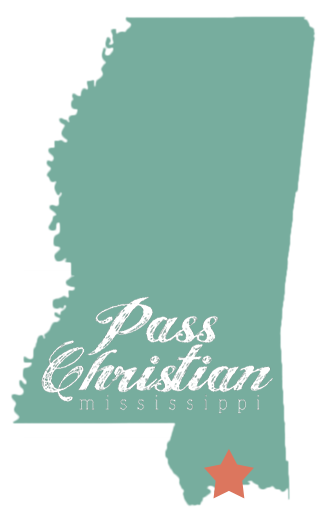 Art in the Pass, which works under the auspices of Pass Christian Main Street, a 501(c)(3) organization, is seeking sponsors for this year. Sponsors are a major source of revenue for the festival, which is free and open to the public. Sponsorships are available for businesses and individuals at various levels beginning at $75. Corporate sponsorships at the $1,500 and above levels include the corporate logo featured on the festival t-shirt, website and sponsors’ banner. “Sponsorships are a wonderful way to show your civic pride and to link your business with an outstanding mission,” according to Anita Giani, Sponsor Chair. Individual sponsors at the $75 and above level are invited to the Patron Event to be held March 31, 2019 at 6 p.m. at the Historic Pecan Grove House. Those interested in information on being an Art in the Pass sponsor may call Anita at 650-743-0879, Betty at 703-980-3376 or email info@artinthepass.com. The annual Celebrate the Gulf Marine Education Festival is held concurrently with Art in the Pass and is a free, fun, family-friendly event held on Saturday, April 7, 2018, from 10am to 3pm, adjacent to the park’s playground. Celebrate the Gulf will offer lively hands-on activities addressing marine and estuarine environmental issues, and recreational and commercial uses associated with the Gulf of Mexico. Art in the Pass will be filled with special events. Applicants for the Art in the Pass Scholarships will display their art in the scholarship competition. In addition on Sunday, there will be art activities for children as well as the high school art contest. Silent Auction: The Silent Auction features original artwork from artists participating in the Festival. The proceeds from the Silent Auction funds the Art Scholarships. Over $5,000 in art scholarships will be given to high school seniors who plan to continue their education in art. Applicants will show their work on Sunday, when scholarships will be awarded. Applications will be mailed to area art teachers in January. Student Art Show: The sixth annual Art in the Pass Student Art Show will be held on Sunday. Students from area high schools will show their works and compete for ribbons. Instructions will be mailed to area art teachers in January. All of the volunteers who work at Art in the Pass and to the City of Pass Christian: Parks & Recreation Dept., Police Dept., Public Works Dept., and Fire Dept.